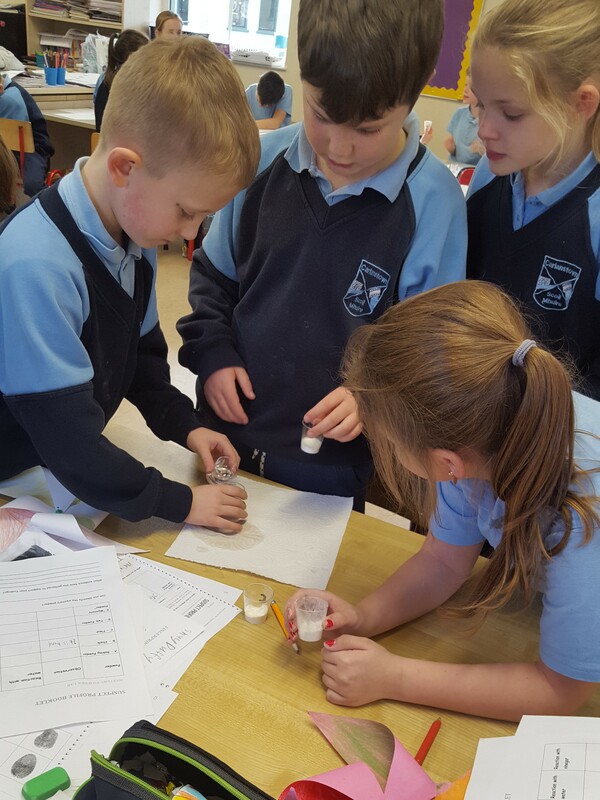 We were very busy during Science Week carrying out lots of different experiments. 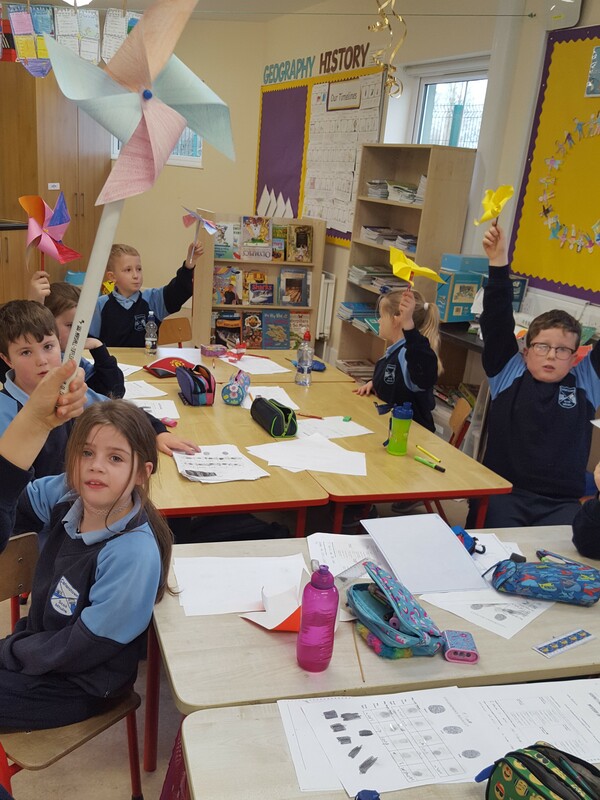 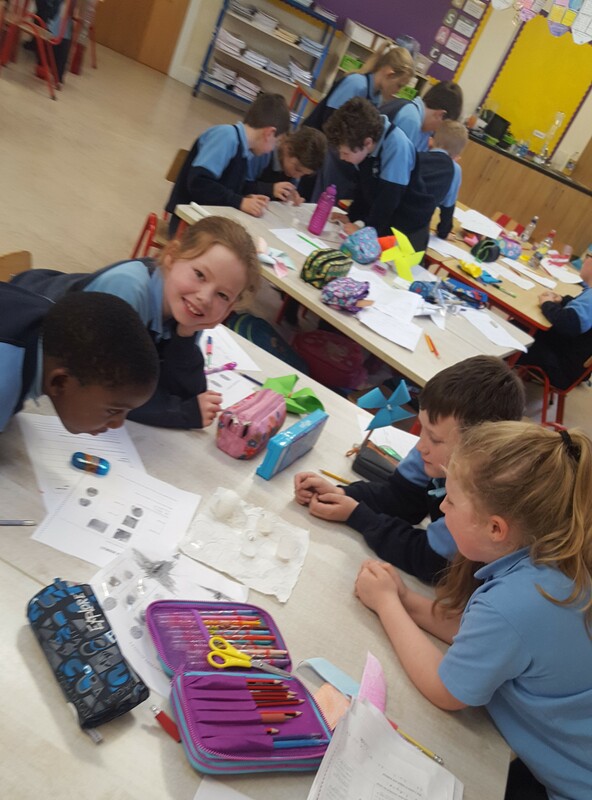 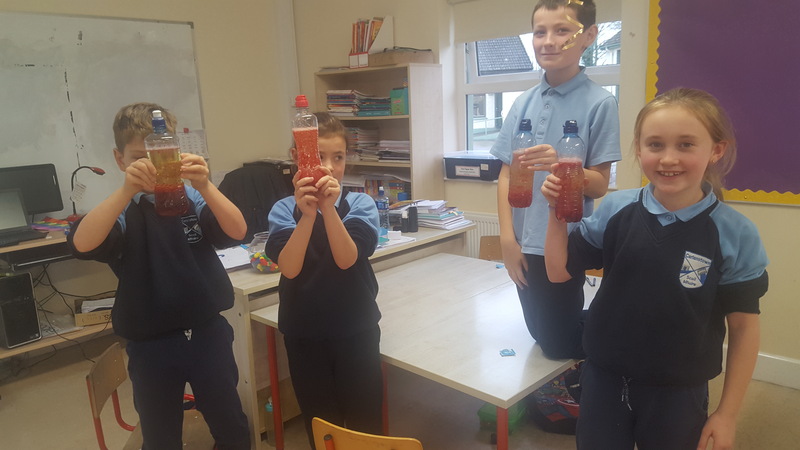 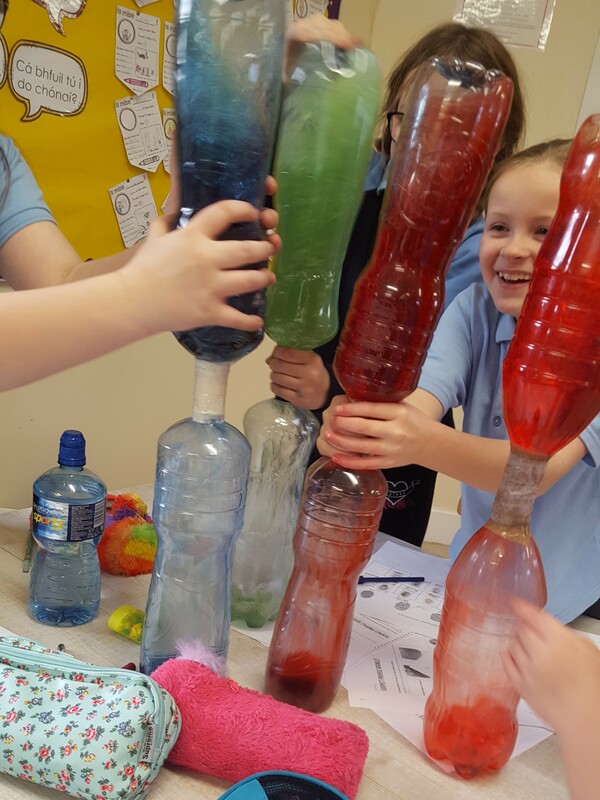 We were working on our own science projects at home with 2nd class making windmills and 3rd class making a tornado in a bottle. 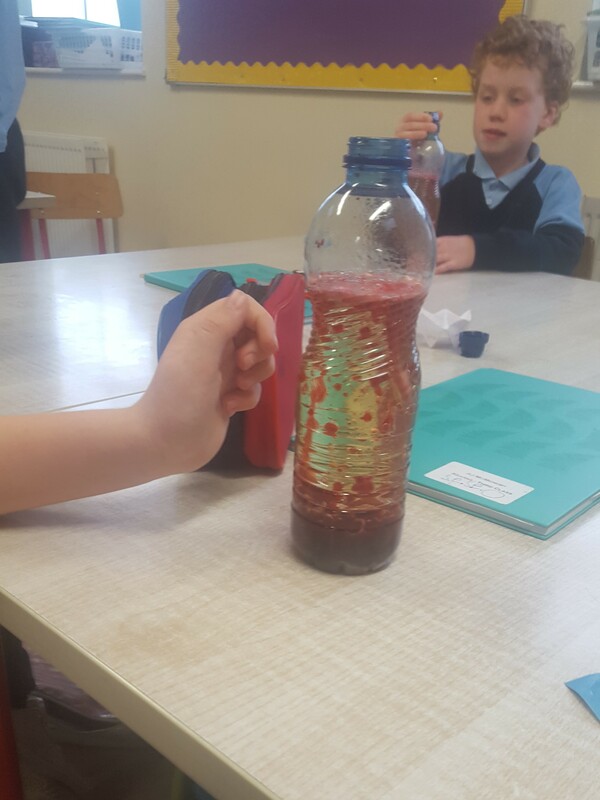 We also made lava lamps and even became CSI detectives for a day trying to solve a crime! 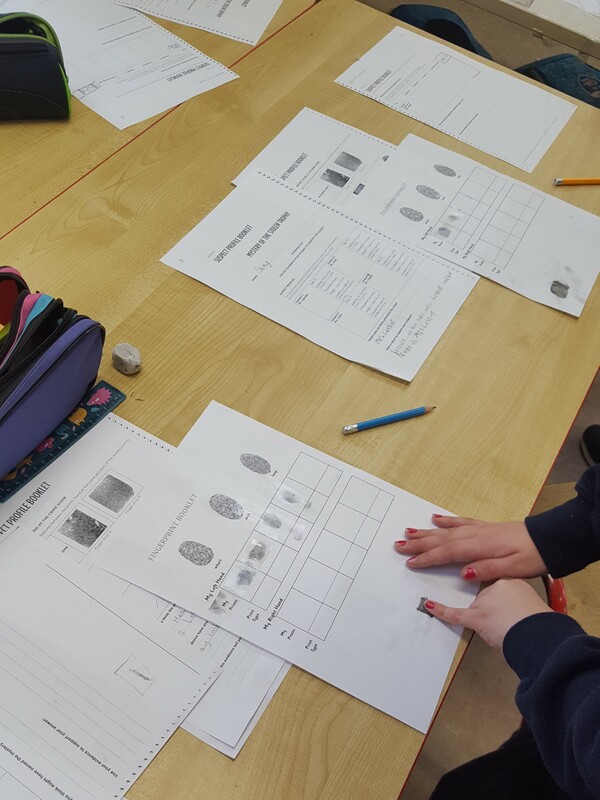 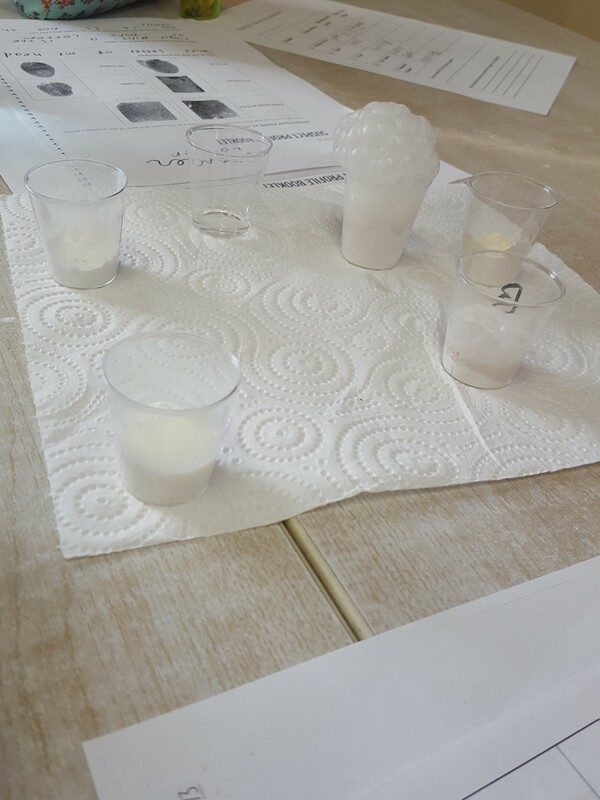 To find our crime suspect we examined different types of clues such as fingerprints, the components of ink and how different powders react with different liquids!